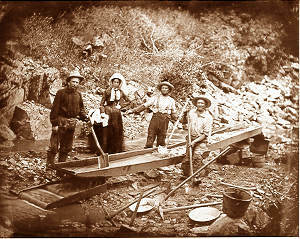 Facebook | Does the goldrush mentality on Wall Street have implications for law firm marketing? I don’t know about you, but, I love the service Facebook provides and I’m glad they are doing well. It is probably the most powerful media holding on the Net – much to the surprise of many – and it may eventually become the NET – well, it is sure to be headed somewhere big with this new round of capital. The communities on Facebook are strong. There’s a lot to like about that for advertisers. And, obviously that’s not being missed by the gold-rush investors. So I’m wondering, how are law firm marketers seeing it? Are they ready to invest boldly? Here’s how I see it. What makes Facebook extremely valuable is not that 500 million (or whatever the new number is) people gather there, but that those people share their information freely allowing Facebook to give advertisers the data they want and need to target their audiences. Never before has it been so easy (and so profitable) for a media company to do this. Advertising has always paid for media —the whole kit and kaboodle; content, production, distribution, overhead and profit, for TV, magazines, newspapers, radio, etc.. But, Facebook doesn’t have content production costs; users do it for them, leaving only hard costs in making sure the “press,” so to speak, keeps running smoothly. It’s very attractive and it must be awfully lucrative for investors. What to do with all this profit –or am I missing something? For advertisers it’s both a blessing and a curse. Sure they have access to amazing user data, sliced and diced digitally, but they now have to create the ad AND the content. That’s time intensive and expensive to do it right. (see chart below) It takes bodies to produce and maintain quality content (reference old media) and bodies cost money. The new media, such as Facebook, is now passing along content creation costs to the advertiser leaving more profit for them. Hmmm. Very attractive for investors and advertisers don’t seem to mind as the data from Altimeter Group shows in this chart of projected corporate spend on new media in 2011. Staff and ad spend take the two top spots. Are law firms prepared to jump in? More law firms are setting up Facebook pages – it’s tough going, right? A lot goes into creating the content and few lawyers are willing to pitch in. The burden right now is squarely on the shoulders of the marketers – many find it to be just another underfunded challenge. Worse, law firm management gives it little or no strategic value. So, they assign the task to a marketing coordinator (Thinking….they’re Net natives, right, they know all about cool Facebook content. Hmmm… jump below***), throw up some press releases, and get employees, partners and families to “like” the firm page. Ho hum. Is that what it’s really all about? I say no. Legal marketers need to be preparing their next steps now. I want to hear from lawyers, law firms and marketers who are taking Facebook seriously. How are you leveraging the demographic data available from FB? Would you share with us how it is going? And, what about content creation? I’ve heard a few very large firms have added staff. What are your plans for 2011? Do you have any secret plan of attack – not asking you to share what that is, just curious to know if we’re getting closer to a truly strategic mentality about Facebook in the legal marketing profession. Thanks in advance for your contributions to this stream of thought. Content production and the staffing conundrum. ***I’m not implying here that entry level marketers of the Net generation aren’t entirely capable of producing good content, however, this will only happen when the law firm and the CMO empower the content builders. That takes an awful lot of trust, not to mention training so that the content builders understand and apply professional ethics and confidentiality where it is needed. The content builders must also understand the law firm’s market (whoa – big job) and what is at stake for the entity, as well as what measurements will float the boat. This, in my opinion, needs leadership. Senior leadership. Trouble is, leadership doesn’t have time to devote to something that is not directly tied to business results – generating real revenue. So, it gets pushed down. This, I think, may be where we need to rethink what we’re doing. I think the benefit of early adoption in leveraging new media, specifically Facebook, is potentially huge. What do you think? I know, right, buyers are beyond draconian Rules of the Bar. We can only hope that the ABA’s recent exploration ends up in more enlightened territory than further restriction on attorney speech. And yes, keeping the presses running is no small or cheap task. Good point, so yeah, at the end of the day FB may not be paying for content creation but they’re burning up the dollars on engineering. RE: data mining, it’s always been a part of modern advertising, and thus doesn’t daunt me conceptually, right. What is scary is how much information people share (kids and uninformed adults) on FB (and everywhere on the Net) and how third-party data brokers like spokeo.com and 123people.com take it and sell it. This deep web data can be damaging and even dangerous to unsuspecting netizens. I see in the crystal ball some new protections coming, and perhaps the ability to remove data, i.e.erroneous or accidental data, from the web which should give us more peace of mind. While I am good and ready to go on Facebook for my firm, I think there are still people who are weary of how to implement it for law firm marketing. I plan to tread lightly into it now that there are several firms out there successfully using it. With more and more partners and attorneys in our firm having personal Facebook profiles, I think the resistance is not as strong as it was a year ago, and the adoption of it will be easier. It also doesn’t hurt that many of our top clients now have Facebook pages. I think Facebook is an incredible platform to share what you are doing at work without promoting what you do. It exposes your personal circle of friends to your professional life, and vice versa. I’m all about uncovering commonalities, and I have found Facebook does that better than any other social media platform. After almost 18 months with a Facebook Business page I am sold on the value it brings to the table for search engine optimization. By posting content that is timely and relevant to my client base, I have been able to see a direct increase in my SEO. I think firms (big and small) have to embrace social networking… because our clients, our colleagues and our referral sources are already there. Thanks for joining the conversation and sharing your experience. Indeed, search and social can be pretty powerful. Kudos to you for taking a proactive role in creating your firm’s online footprint using all the tools at hand. Keep us posted and come back often. Jane, I love you and your work, but I have to play the curmudgeon (big surprise, I know). My plan is to ignore Facebook and focus on LinkedIn instead. Law firms that set up Facebook pages are primarily solos, plaintiff PI firms and GPs who are looking for consumer clients; also AmLaw 100 firms use Facebook to reach students for recruiting. Facebook is a social site, not a business site. Facebook claims 500 million users, but istrategylabs (http://bit.ly/efw2eS) says that as of Jan. 04, 2011, 146.8 million are in the US. The largest age group that uses Facebook is 18-24, i.e., not decision makers. This is the fastest-growing demographic on Facebook. 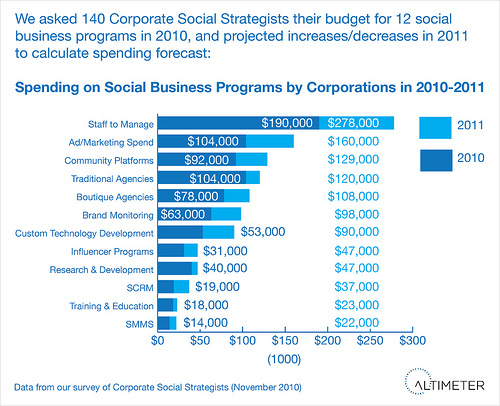 When it comes to business development, social media are at the bottom of the list. Forrester Research asked in a survey (http://bit.ly/hfdMtl) “Which sources of information affect your purchase decision-making process?” The answers were (1) peers and word of mouth (2) consultants (3) salespeople (4) trade association web sites (5) industry analysts (6) discussion forums and support sites (7) trade shows (8) email newsletter (9) virtual trade show and at the very last, (10) online communities and social networking site. Sure, Facebook is valued at $500 million. Remember the Dot-Com Bubble of the 1990s? Technology stocks were worth a fortune, until March 10, 2000 that is. (1) According checkfacebook.com stats indeed, the 18-24 group is largest (31%) but very, very close behind is the 25-34 (22.6%) crowd and 35-44 crowd is at 16.4% of the US audience. The US audience is 25.63% of the global FB user population. Those are not small numbers and they are growing. I might also add that not all law firms, especially larger ones, are focused on a U.S. audience. I manage a global law firm’s multi-lingual Facebook Page and we attract fans from China, South America, Dubai and India. (2) If the number one source of information that affects purchases is peers and word of mouth…well, I would argue that primary activities on social media ( at least for the older crowd) is keeping in touch with peers and reading reviews. I for one, oddly, often trust the comments I read from people I do not know about products and services I want to buy. I get those from review sites, social networks (i.e. Book Fanatics on Linkedin) and corporate sites that offer forums like Apple.com, Amazon.com and Zappos.com. Now, you may argue that those are “retail” purchases, and they are, but I can tell you that I’ve heard directly from prospective law firm clients that they like to read and often trust anecdotal comments made by others, even from people they don’t know except by reputation. I believe more corporate counsel rely on Chambers’ Guides because they do have real comments – what’s the difference except that Chambers comments are edited and published in a printed book-on it’s way to extinction in the next generation I might add. Though the bar may be set right now at low involvement purchases, it is a growing phenomenon that I think will stick. I hope we’re both around to see the finish line. Winner buys the beer! When I read that #10 is influence by online communities and networking sites, I think ads. But the people that make up the community of those sites are not without influence, IMHO. However, with all things there is a balance and trust must be earned. For example, I have purchased books based on influential bloggers recommendations, bloggers that I’ve grown to know, like and trust through reading their content and comments. In some cases I have been disappointed with their recommendations. Does that make me never again trust their recommendations? No, I just weigh them more carefully. This is no different to me than when I speak with someone face to face at a conference or call them on the phone for an opinion. I’m glad we could share out conversation with others via blog comments and hope that it continues to stimulate thought and progress as we all learn and grow. Oops, is that social media? You bet! I am the Director of Professional Recruiting at my firm and Facebook has become the primary tool I use to get the word out about our new recruiting model, Schola2Juris. We decided to go where the students are as opposed to having them come to us. I am able to view the demographics of the visitors, see what articles/postings are receiving the most hits, where people are coming from, what kinds of media they are consuming on the page, etc. As we get closer to launching the job postings, we will use a targeted Facebook ad to reach the correct audience. While this obviously has more to do with student recruiting, I believe we are planting business development seeds that will (in the very long term) put our firm’s name in the minds of those that may have never heard of us before. Also, by using recruiting as an incubator, the firm is seeing the benefits of this platform and how it may be used for more traditional biz dev in the future. Great to hear from you and thanks for sharing your story. I checked out your page and I have to say I’m super excited by the creativity I see there. Excellent work. You go girl. I too hope the firm will soon recognize that with a little creativity and sweat equity digital publishing tools and online communities can be viable additions to face-to-face meetings, events, email blasts and all the other great things law firm marketers do to get the word out on their firms.